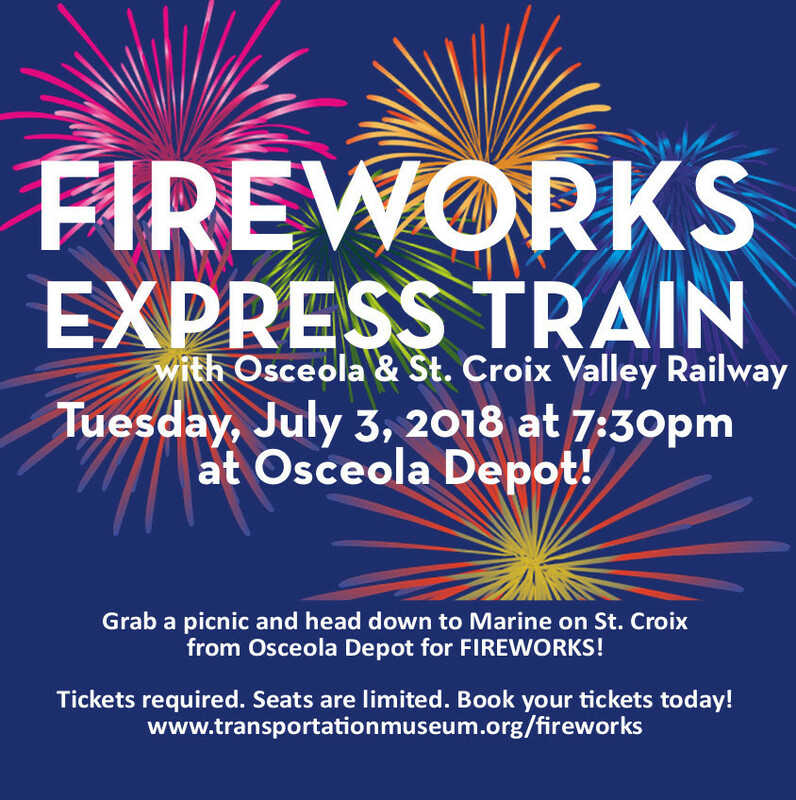 The Fireworks Express departs at 7:30pm from the historic Osceola Depot and heads to Marine on St. Croix for the annual fireworks display. When the train arrives at Marine, passengers detrain and ride buses to downtown to enjoy the show. Fireworks begin at dusk. Questions? Please call (651) 228-0263 for assistance.